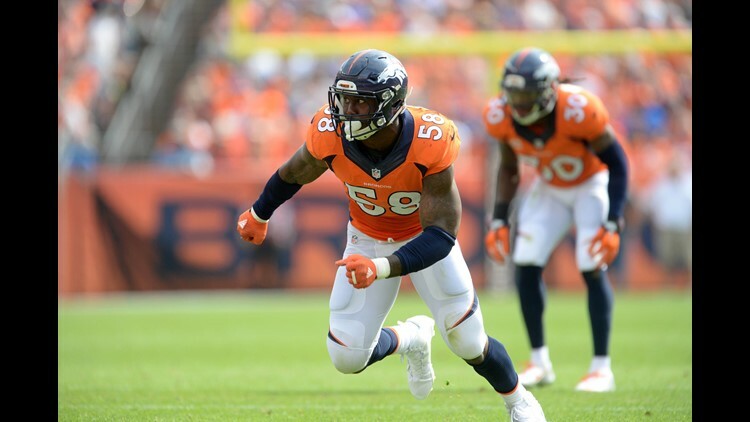 Former Texas A&M star Von Miller is now the all-time leader in sacks for the Denver Broncos. The 11-year NFL veteran broke Simon Fletcher's record on Saturday when he took down Browns' QB Baker Mayfield. It was the 98th sack of his career, half a sack more than Fletcher. Still just 29 years old, the Texas A&M product is poised to record many more sacks in Denver before he retires. The NFL’s all-time sack record is 200, held by Bruce Smith.